Considering how difficult it is to get pretty affordable android phones this days, I have decided to take it upon myself to bring you guys some of the budget friendly phones you can get with pretty good specs. The phone am featuring in this post is the cubot H2. This device has a 64bit quad core processor, 3gb RAM, 16gb ROM and a massive 5,000mAh battery. The most surprising part Is that the device goes for less than N30,000. 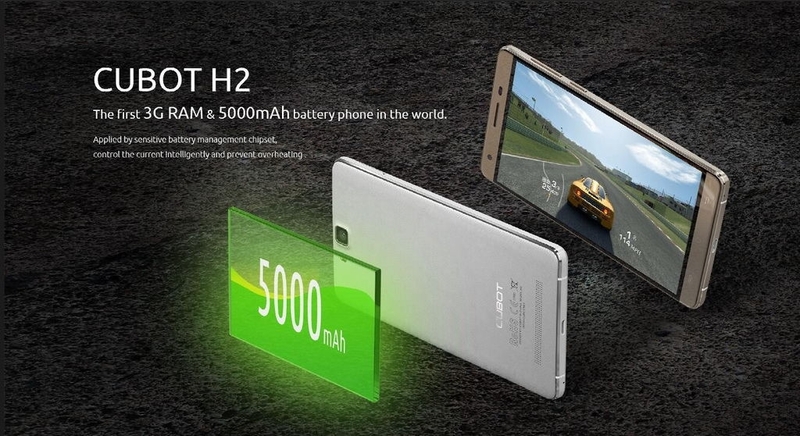 The Cubot H2 which has an IPS, 2.5D capacitive touch screen HD display with a resolution of 1280 x 720 pixels is powered by Mediatek MT6735A, Quad-Core processor with a clock speed of 1.3ghz and a Mali-T720 GPU. It also runs on android version 5.1 lollipop. It has a 3gb RAM and a 16gb ROM which can also be further expanded via the SD card slot with a 32gb SD card max. It also has dual micro simpackedslots with 4G FDD LTE Network support. It features a 13mp rear facing camera with dual 1.0v led flashlights, auto focus, 4P lens and a f/2.0 aperture. In the front is also a 5.0MP+88 degrees wide angle camera. It also comes packed with a 5,000mah lithium polymer battery which also supports 5v/2A quick charge functionality. You can check out the key features below. This device is available on Jumia at just N29,700. You can order for it HERE.